This 6.5L Promotional Cooler Bag is one of our most popular! Big enough for lunch, yet small enough to be easily carried to sports games, the beach or to work. Made from 70D Nylon with PVC backing, it has an insulated cooler with a double zippered lid and adjustable webbing shoulder strap. With 8 colours available, this cooler bag is easy to align with your brand. Choose from Black, Forest Green, Navy, Orange, Red, Royal, Silver and White. Branding can be done using screen print, digital transfer or plastisol transfer methods on either the front or lid of the cooler bag. Branding areas are also generous with the largest print area being 150mm wide x 120mm high. 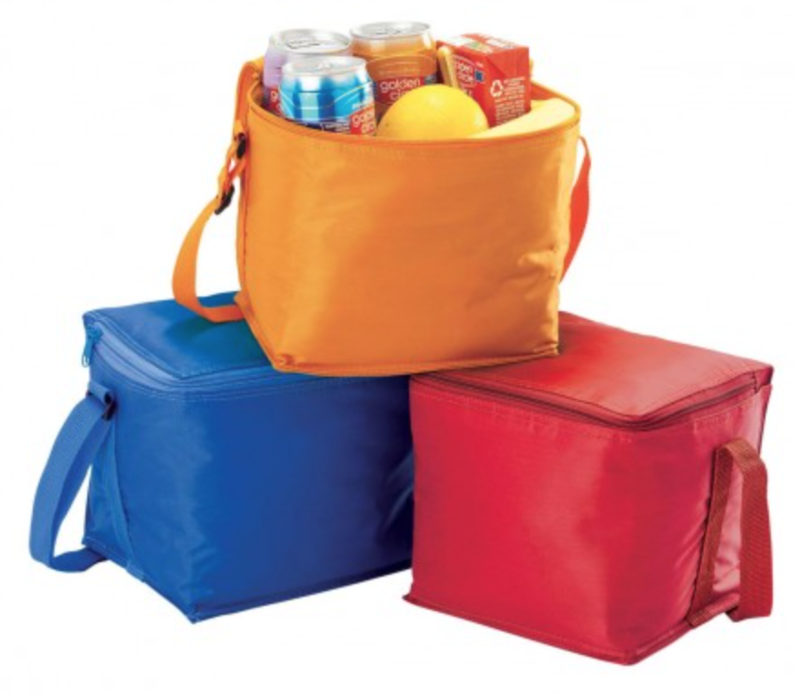 Cooler bags are popular all year round… stock up for your clients and employees today! Contact Silveradoh to discuss how you can use this promotional cooler bag in your next marketing campaign.